Our 2013 game Ossuary is currently on sale for $7.49 on Steam! I wrote all of Ossuary and released it with my partner as the first project of Future Proof Games. It’s a little game that’s pixelly and funny and strange. You’re a newcomer to a macabre philosophical underworld, and to escape you have to solve conversation-based puzzles and use sins as inventory items. I used it to explore a lot of Discordian concepts and perspectives, so in a sense it’s a religious work for me. And a final request: if you have played Ossuary, please do leave a Steam review. Our 17 reviews are 94% positive, but Steam won’t list them as “Very Positive” or “Overwhelmingly Positive” until we have enough of them. Anecdotal evidence strongly suggests that these categories make folks more likely to check out an otherwise-unknown game. Over at the Future Proof Games dev blog, my partner Melissa has done a summary of how we spent 2015. Our game Ossuary hit Steam, our new game Exploit: Zero Day is in open alpha, and we’ve learned a bit more about how to run a tiny indie game company. Check out the post on the FPG blog. Ossuary is on Steam! It’s been a long road getting there, but a game I wrote and designed is finally on the largest online game store. So far the game’s been selling well compared to its previous performance, but it’s not been anything lifechanging. I’m very thankful to all the fans and journalists who have helped us get to this point. If you haven’t played the game, pick it up on Steam! If you have played the game, you should have a Steam key waiting wherever you bought it. Please leave a review on the Steam store page saying what you thought! Ossuary occupies a complicated head space for me. It was developed during a very difficult couple of years in my personal life, and it’s releasing right when I’m struggling the most to support myself. I hope that in the years to come I can look back on this release fondly, but right now I’m not quite sure how I feel. Discordianism is a major influence on Ossuary, and I’m reminded of its Parable of the Bitter Tea. The Parable of the Bitter Tea teaches us to accept the nature of things. You can work to improve the world and you can see the flaws in it, but it’s harmful to struggle to change that which is already set in stone. I’ll work to be mindful of how I am right now and move toward the future. Our unsettling dialogue-focused adventure game Ossuary is coming to Steam. The torturous Greenlight process is over, a bit mysteriously, and now we’ve started the work of preparing all the material we’ll need to be released on the largest video game storefront around. I’m prone to a sort of postpartum depression around game projects. When I release a new game or finish a major milestone, I often have a flare-up of my chronic depression and find it very hard to motivate and care for myself. I’m definitely experiencing that right now: the Greenlight process for Ossuary took so long and occupied enough emotional space in my brain that its resolution leaves me feeling a bit bereft. I’m managing it pretty well, but it seems ironic that a success, or at least a big step of progress, has brought me so low. The circumstances around the final approval are weird, but that’s a post for another day. Over at Future Proof Games I blogged about how it feels to have our funny, unsettling satire Ossuary languishing in Steam Greenlight for a year. It feels like a slow struggle. New games are being added to Greenlight daily. Because the primary measure of progress is “percent of the way to the top 100,” this means that your rank can actually slowly drop as some popular games surpass your vote count. Then, on an unclear schedule, a batch of games is greenlit, chopping the top off of the sample set and raising your rank again. It’s two steps forward, one step back. You can read the rest at the Future Proof Games devblog and you can always vote “Yes” on Steam Greenlight. 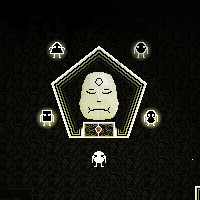 My recent game Ossuary is now up on Steam Greenlight! With enough “Yes” votes we can become available for sale on Steam and reach more people with the game. We’ve been struggling to get Ossuary the attention we think it deserves. It’s really hard to stay up late sending out free copies to the press and then see that none of them get redeemed. Getting through the Greenlight process isn’t a sure thing, and even if we get on Steam there’s no guarantee we’ll do well. But making games that mean something is important to me, and I intend to keep trying to make it work. We’ve released a new game in the Ossuary universe: “The Hodge-Podge Transformer.” It’s a demo, a prologue to Ossuary, and a standalone game featuring all-new characters, setting, and puzzles. It will give you a good idea of what Ossuary is like (and let you test it on your computer!) while still not showing everything about the full game. “The Hodge-Podge Transformer” was an odd project. For a while, I had no idea how to make a demo for Ossuary, and then inspiration struck rather fast and it planned itself out in my head. I’ve been downplaying the spiritual aspects of Ossuary, probably to avoid it being known as “that Discordian game,” but it’s a little bit tempting to claim divine inspiration for this one. The demo should go up on major Flash portals tomorrow, but for now you can play it at Future Proof Games. You can buy Ossuary at Future Proof Games. On Wednesday, Future Proof Games released our first game for money, Ossuary. We’ve started getting cool attention from cool people, but something that I’m reading a lot is that people aren’t quite sure what to make of it. What exactly is Ossuary? Personally, I think part of the experience of the game is finding that out, but in the interest of letting people know what they’re paying for, here are some more details about Ossuary. 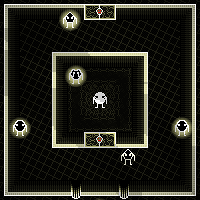 My latest game, Ossuary, is now available. It’s a game about order, virtue, and kicking bone spiders. The last thing you remember is receiving an unsatisfying answer. A plunge through the fundamental chaos takes you to a place of bones. Great power can be found within the Ossuary, but those who are not lying to themselves are lying to you. 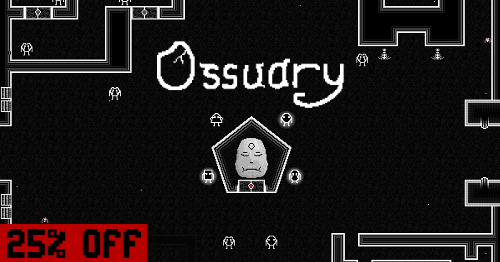 Buy Ossuary, DRM-free, at Future Proof Games. This is the first game I’ve released for sale, and I’m really anxious about it! I hope it disturbs and enlightens you.